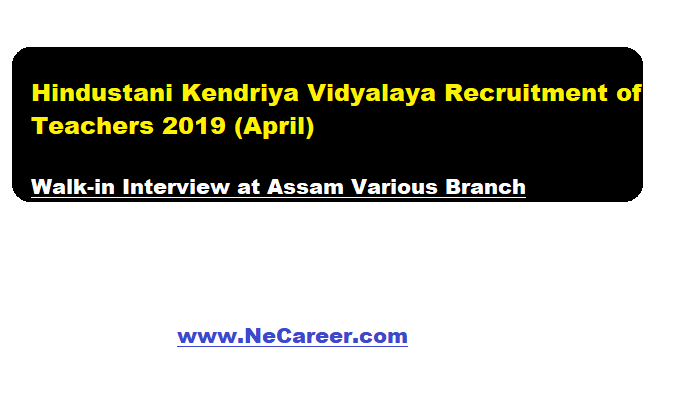 Hindustani Kendriya Vidyalaya Recruitment of Teachers 2019 (April) | Walk-in Interview at Assam Various Branch:- Welcome to North East India's No. 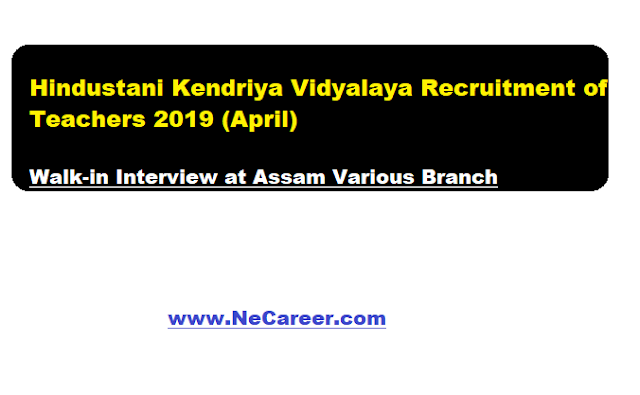 1 Job Portal NeCareer.com .Hindustani Kendriya Vidyalaya school, which is sponsored by Purbottor Hindu Sanmellan has issued a job notification for branches at various parts of Assam in April 2019. Find details below. Eligibility : Candidates applying for the post of teachers must have Master/ Bachelor degree with B.Ed. Proficiency in English is mandatory for all the faculty members. Interested and eligible candidates may appear in walk-in interview to be held in above mentioned time and location with eligibility documents. Hostel facilities are available at Guwahati (Boys),Tinsukia (Boys and Girls) and Tezpur ( Boys and Girls). Transportation facilities are available in all the branches. (Guwahati, Tezpur, Tinsukia & JKB).